Pay once,keep it forever. 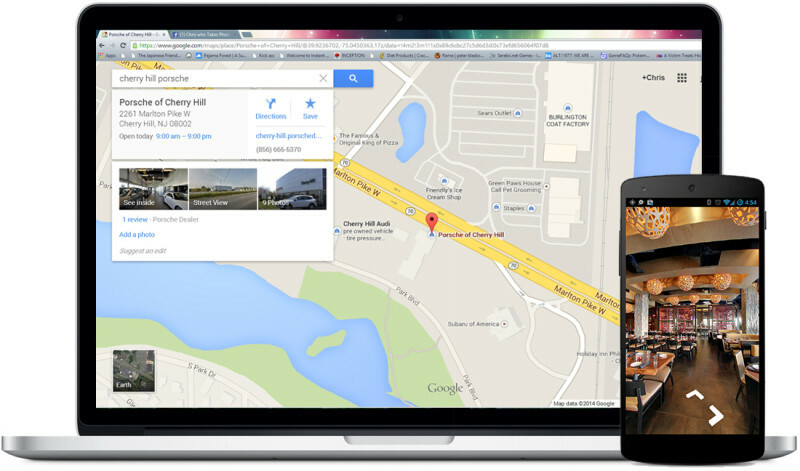 Google Business View is an invaluable marketing tool, with no monthly, yearly, or other recurring fees. ​﻿Pricing is determined by the square footage of the business and the amount of panoramic shots that are needed to properly showcase your business. ​What's Google Virtual Tour Included? A Virtual Tour of your Business with 360º Panoramic Photos, which provide a walk through experience for your customers. The virtual tour will be added to your Google Places page and be visible in Google Search results and on Google Maps. Once your Google Virtual Tour is complete you will be able to embed it on your own website with unlimited rights to distribute your tour. Point of Interest Photos (still photos) that will be added to your Google Places Page and also show up in Google search results and Google maps (see below for details). Verification and updating of all business information on Google’s Network. Enhanced organic search results throughout Google Network. How long does Google Virtual Tour take? Photo shoots on average take 1-2 hours, though timing could increase if size of the location is large. Once the photo shoot is complete, images are processed and uploaded to Google. The images will become available on Google in two to three weeks. How does the Google Business Photos program work? Independent photographers are trained and certified by Google to participate in the Business Photos Program. Once you are certified you are a Google Trusted Photographer. Look for the logo to find Trusted Google Approved Photographers.